Have you tried the Whipped Buttercream recipe yet? I am absolutely in LOVE with that recipe... and so are my customers! Yesterday I shared my apple pie filling recipe and realized I needed to share a buttercream recipe to go on a cake made to taste like apple pie! Two delicious options would be either vanilla stabilized whipped cream, or cinnamon stabilized whipped cream. But what if you wanted a topping that could handle sitting at room temp for a bit? 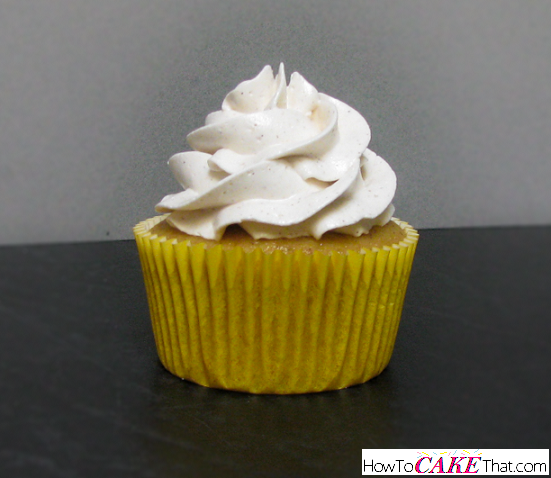 Cinnamon Whipped Buttercream is the answer!! It's fluffy and light with a hint of sweetness and just a taste of cinnamon. It is delicious!! 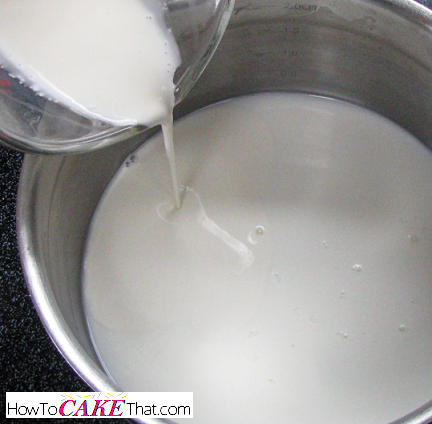 To begin this recipe, pour 6 ounces of whole milk into a medium saucepan. 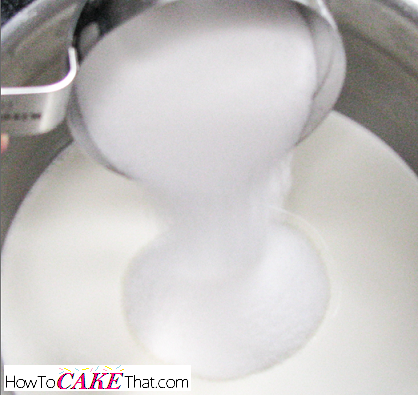 Next, add 2 ounces of heavy whipping cream. 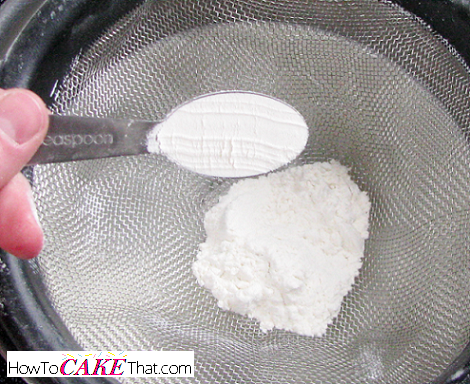 Add 6 ounces of granulated sugar to the saucepan. 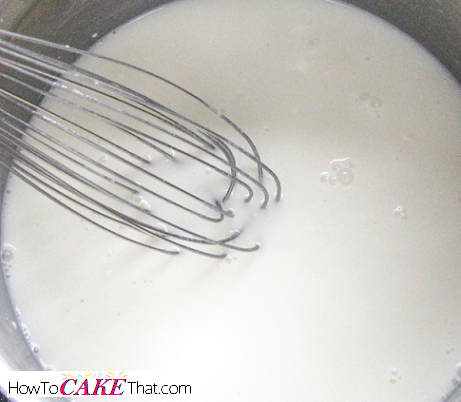 Using a wire whisk, stir all ingredients together and cook mixture over medium-high heat. 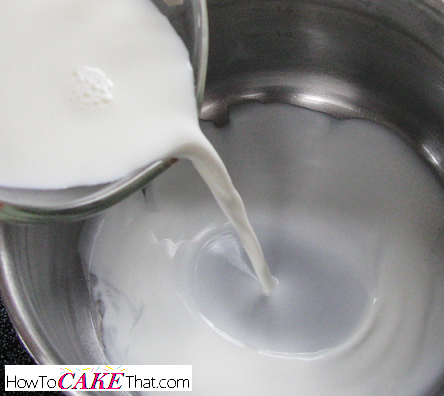 Cook mixture until it becomes thick like custard and leaves a nice thick coating on a rubber spatula. Remove pan from heat and set aside to cool to room temperature. 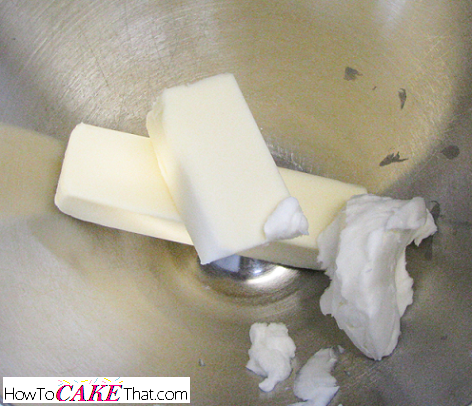 While mixture is cooling, place 1 stick (1/2 cup) of unsalted butter, 1/2 stick (1/4 cup) of salted butter, and 1/4 cup of high ratio shortening in a mixing bowl. Let butter soften and come to room temperature. 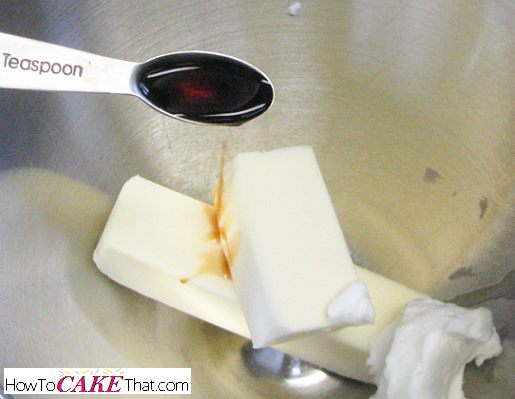 After the heated mixture has cooled, add 1 teaspoon of pure vanilla extract to the mixing bowl. Add cooled cooked mixture to the bowl and add 1/2 teaspoon of ground cinnamon. 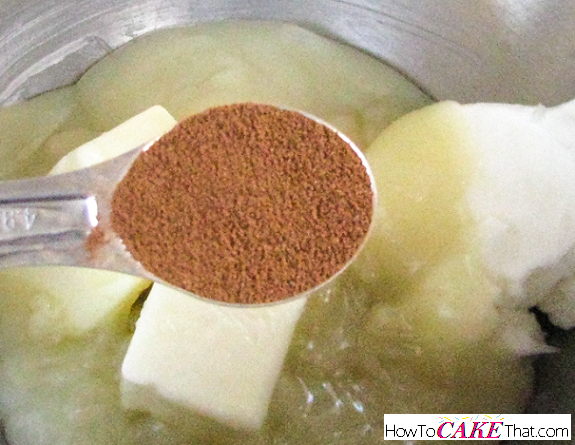 1/2 teaspoon of cinnamon will give the buttercream a nice light cinnamon flavor. More can be added to taste, but only add a little at a time. 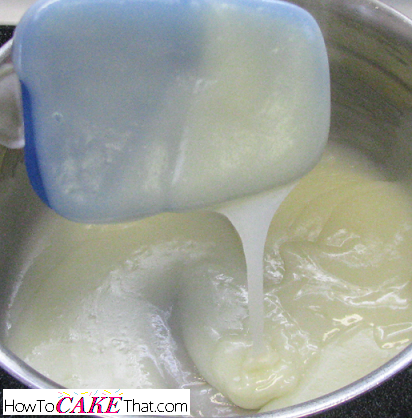 Attach paddle attachment to mixer (or whisk or beaters, if paddle is unavailable) and mix ingredients on high speed for 3 to 5 minutes, until light and fluffy. And there it is! Deliciously light and fluffy whipped buttercream speckled with ground cinnamon. This buttercream can be refrigerated for up to 4 days or frozen for up to 3 months.